Enter here to win a Fuzzibunz Elite! 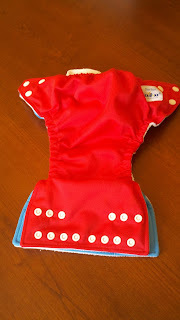 Fuzzibunz diapers were my first exposure to cloth. 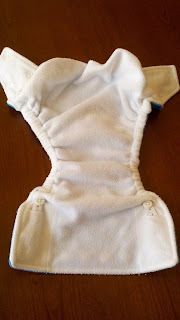 We had discussed using cloth diapers jokingly as a way to save money when our son was born. 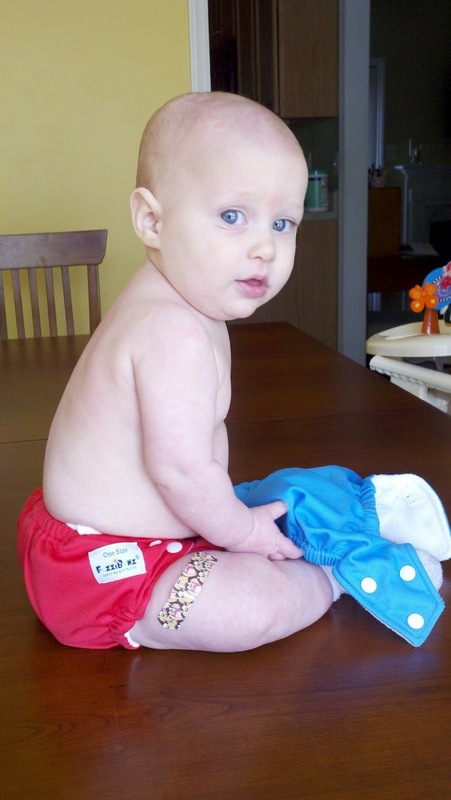 Then I stumbled upon modern cloth diapers at a local baby boutique, Green Pea Baby while shopping one day. I instantly fell in love! They were so soft on the inside and so bright and cute on the outside! I knew nothing of modern cloth, but that day I began my research! So naturally, when we started our stash we stocked it with a few Fuzzibunz to try out. We stuck with one sized diapers because we liked the idea of using the same diapers until potty training. Our son was 2 1/2 weeks old when we started using cloth and around 8 1/2 lbs. Once we tried out our stash we were sold! Fuzzibunz it was! At the time Fuzzibunz was running a buy 6, get 2 free promotion, even better! So I purchased 12 more Fuzzibunz one size, and got 4 for free! I was thrilled! 6 months old, loving his Fuzzibunz! 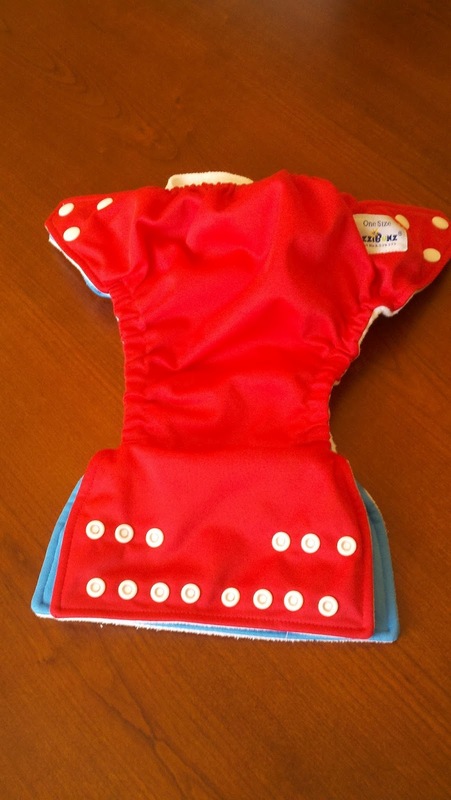 Fast forward a few weeks later and Fuzzibunz announces the arrival of a new diaper, Fuzzibunz Elites! I wanted to try them so badly, but we were cloth diapering to save money, not spend it and I already had enough in my stash that I couldn't justify spending more money. I checked out my rewards points on Kelly's Closet and I had enough for a $30 gift card! Woohoo! This was also during Black Friday when they had Fuzzibunz Elites on sale! So I paid roughly $2 for 2 Elites! I still love my old style one-sized, but I would LOVE to have more of these! I love how much trimmer the front panel is compared to the old style. The new minky inserts are amazing! They definitely make the diaper less bulky and those minky inserts hold way more in my opinion than the old microfiber inserts. The elastic adjustments on the inside are a nice feature as well, although I was never bothered by them being on the outside before. I feel like in the cloth diapering world Fuzzibunz and Bumgenius go head to head among parents. Honestly, I don't think you can say one is superior to the other. I think you have to use what works best for your child. 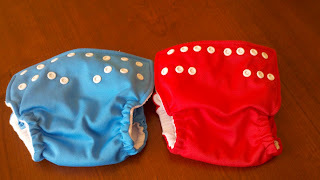 As much as we love our Fuzzibunz, I realize our next baby could be totally different and need something completely different for diapers. The Fuzzibunz are definitely trimmer in the crotch compared to Bumgenius. Bumgenius are also easier to change the sizing on because of the outer snaps. I prefer Fuzzibunz sizing better though. Sure, it's more work, but it stays in place. I find when I use a Bumgenius with a wiggly baby the rise snaps come undone very quickly. Have you tried the Elites? What about the Perfect Size? I've never tried them, but I hear wonderful things about them! Anyone prefer the old style over the Elites? I'll be giving away an Elite along with some CJ's BUTTer and Thirsties Fab wipes soon! Follow along for more of my favorite things! I'll give you a hint for my next one...it doubles the absorbency. Any guesses? 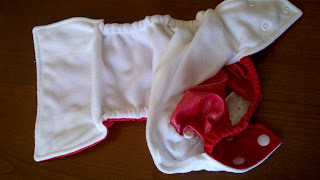 I received a fuzzibuns perfect size in med from Kelly's Closet as a free diap with a coupon. I LOVE it :D! I had 2 of the old style OS fuzzibuns, and while I loved the fit, the adjustment buttons left big red circles on my DS's legs :( So I ended up selling them. I would really want to try the elites now because of your post! Is it a hemp doubler? I recommend trying the Elite if the only set back you had before was the adjustment button. I really love these diapers! I'm digging the Elite too. My favorite aspect of them is that the elastic allows you to adjust at the waist and the leg. Little bit has some chunky thighs and a little waist. These allow me to get a snug fit around her legs AND around her waist without leaving marks on her thighs and without risking leaks. I received an Elite free with a purchase (I think from Kelly's Closet - I'm not sure because I placed orders at 5 different stores in one night! LOL ) It is green and it is WONDERFUL! I love it to pieces! I do like the size adjustment and the clean front without all the snaps to adjust the rise. However, I cloth diaper 2 children full-time and I'm not sure the adjustment is going to be the same for both; only one child has worn it so far. If they need different adjustments then just one of my children will benefit from this diaper because I will not want to have to adjust it over and over again. I've thought about that too. I think what I'll do when baby #2 comes is have certain colors for one baby so I can keep them straight! I've got 6 Elites, I use all of them in baby #2, mainly because they are small and baby #1 is a big toddler already. Even with the elastics to the max they don't come even close to fitting him. But Tiny Guy is getting plenty of use on them. Tip: the elastics in the legs have to be adjusted both in front and back of the leg. I got some bad orange leaks due to only having adjusted the back (closest to the pocket opening).